Nomura Research Institute plans to fulfill its business mission through the synergistic interaction of its skills in navigating the direction of business corporations and society and offering recommendations that support them in achieving their goals and visions, and its ability to offer solutions that resolve issues with precision. In order to upgrade our implementation skills, NRI will focus on reinforcing our abilities in making proposals, marketing, creating new businesses, improving quality and building human resources. By developing and refining these five areas, we will deliver services that stand out in innovation and quality and win the solid trust of our clients and of society at large. As a company that "dreams up the future," the NRI Group explores and uncovers new paradigms in society and works to achieve its vision, at the same time contributing to the growth of Japan and the rest of Asia, and of the world. Tokutaro Hiramoto joined NRI in 2004 as consultant. His specialties include BoP Business, developing management systems for CSR, PPP(Public Private Partnership), and reforming business management through balanced scorecard method. He provides various consulting services for companies from a wide range of industries and for Japanese governmental agencies. He has worked with several dozen Japanese companies for developing their BoP strategies. He also has supported governmental initiative for familiarizing BoP Business to Japanese government (METI: Ministry of Economy, Trade and Industry) since 2008. He has launched “Japan Inclusive Business Support http://www.bop.go.jp/en) in 2010. He is a leader of operation project for this center in 2010-2011. (These project were commissioned by METI). He is the author of the book(“BoP business strategy”2010,Toyo Keizai Shinpousha) about BoP business for Japanese companies. 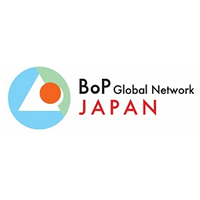 He is also the author of the articles about the business case of BoP by Japanese company in “Development Outreach” (Worldbank, 2008) and also has some extensive lecture presentation. Tokutaro Hiramoto received his MS in Environmental Design from Keio University, and his certification for successfully completing the Executive Development Program ”Inclusive and Sustainable Business: Creating Markets with the Poor” from the World Bank Institute. Nomura Research Institute, Ltd.